Go ahead, put your feet up, take a seat. 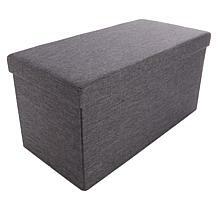 If you're still using a traditional coffee table, you're missing out on the benefits of a padded storage ottoman. 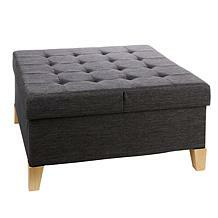 Sit, store or recline ... you'll love the versatility of this home furnishing must-have. 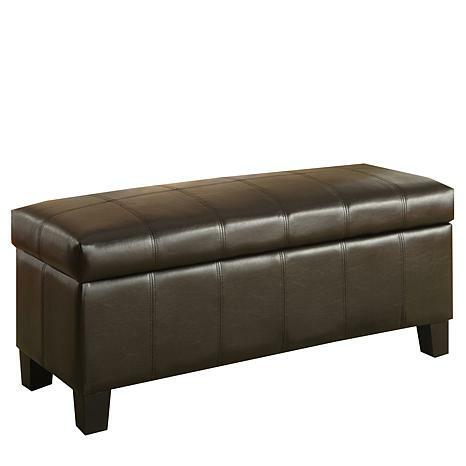 Home Origin Dark Brown Faux Leather Functional Bench is very comfortable. I love the extra storage space, it's perfect for placing items you know you will forget especially when you need them. The bench Arrived in a large Box completely put together the only thing I had to do was put on the bottom legs. Which was quite simple. The bench is very sturdy, the material is very luxurious completely looks and feels like real leather. I have this in my master walk in closet as a dressing area accessory. 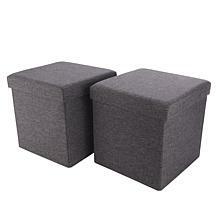 It is very sturdy, both my husband and myself can sit on it very comfortably, and he is not a small man. The interior storage is ample and can be used for just about anything. 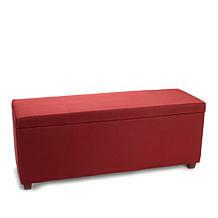 I absolutely loved this bench and of all things I have purchased from HSN this May be the best Bang for the buck. Love the color and the quality of the material. Good quality it looks nice in my living room, using it as a coffee table for the time being, I just put a large tray on top of it to hold items. the legs where easy to put on. Very pleased with this purchase.